A rare and insightful account of the thousands of Union soldiers who escaped Confederate imprisonment and aided in the final dissolution of the Confederacy. During the winter of 1864, more than three thousand Federal prisoners of war escaped from Confederate prison camps into South Carolina and North Carolina, often with the aid of local slaves. Their flight created, in the words of contemporary observers, a "Yankee plague," heralding a grim end to the Confederate cause. In this fascinating look at Union soldiers' flights for freedom in the last months of the Civil War, Lorien Foote reveals new connections between the collapse of the Confederate prison system, the large-scale escape of Union soldiers, and the full unraveling of the Confederate States of America. By this point in the war, the Confederacy was reeling from prison overpopulation, a crumbling military, violence from internal enemies, and slavery's breakdown. 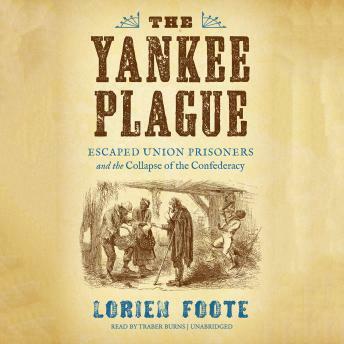 The fugitive Federals moving across the countryside in mass numbers, Foote argues, accelerated the collapse as slaves and deserters decided the presence of these men presented an opportune moment for escalated resistance. Blending rich analysis with an engaging narrative, Foote uses these ragged Union escapees as a lens with which to assess the dying Confederate States, providing a new window into the South's ultimate defeat.